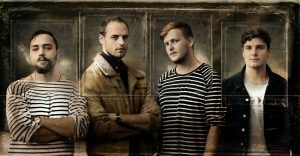 Catch the beat of alternative Afrikaans music when Spoegwolf performs at the annual Summer Picnic Concert at Overhex Winery & Bistro near Worcester on Saturday, 26 January 2019. Let Spoegwolf provide the soundtrack while you enjoy the picnic style setting, chilling to the upbeat sounds of these local indie music legends. They have been recording and performing for audiences across the country since 2012. Fans will be thrilled to hear that Spoegwolf’s fourth album, Koma, will be released in February 2019. As a sneak preview, they will be releasing a track off their highly anticipated album as a single in December, so keep an ear out! 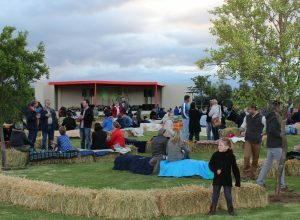 The popular Overhex Balance, Survivor and new Mensa wines will be available for purchase to enjoy with your picnic at their concert in January. Spoegwolf recently collaborated with Mensa for the launch of this ultimate book club wine, taking storytelling to the next level as the first South African wine supported by an augmented reality app. The new Mensa range comprises three beautifully crafted wines for everyday enjoyment. Balance, the easy drinking range, resonates with life’s lighter moments offering a wide selection of wines for every taste. Survivor proudly reflects the free spirit and rich terroir of the Swartland, one of the country’s most dynamic wine regions. Tickets to the Overhex Summer Picnic Concert are priced at R250 per person and include a picnic basket filled with delicious goodies. Tickets will be available at the cellar from 1 November 2018. For more information call Tel: (023) 347 5012 or email functions@overhex.com. For further enquires visit Overhex Winery & Bistro on Facebook.